Are you harnessing the power of video in your marketing strategy? 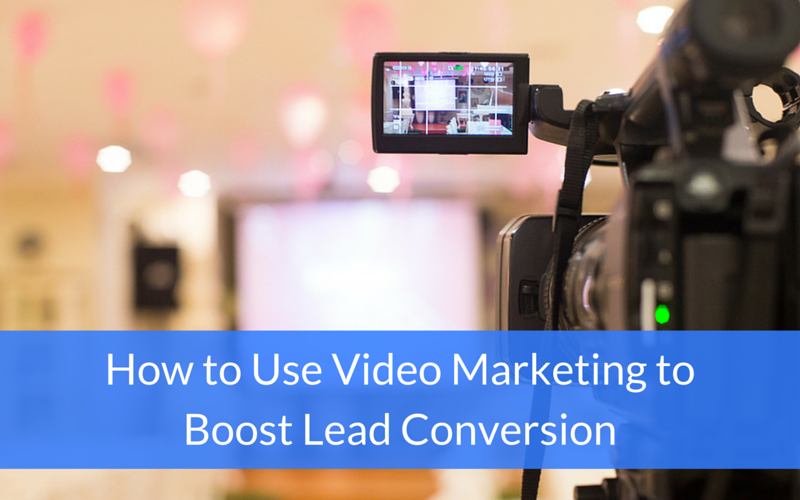 I recently watched a webinar entitled “Using Video to Boost Lead Conversion” presented by Kathleen Booth, CEO of Quintain, a video marketing company and Wistia Agency Partner. During the webinar, I learned a lot of great information about this form of marketing and how to use this powerful type of content to boost lead conversion. Here are some important stats and the do’s and don’ts of creating videos. First off, here are some video marketing statistics that will help you better understand the power of video. Now that you know how much of an impact video can have, let’s take a closer look at how to harness it for you and your business. First of all, it’s important to know what you do and don’t want when it comes to video content. Let’s start off with what you should avoid. You don’t want what Kathleen calls “vanity videos”. This is when you spend a lot of money (we’re talking thousands of dollars) on production, editing, design, and more simply for the sake of having a video on your website. The problem with having a video just to have a video is the “set it and forget it” mindset, meaning there’s no strategy behind it. Without a strategy, you’ll have no indication of how well your video is performing and no feedback for improvement or iteration (Is it having an impact? Is it generating page views?). This means it will also be a failure when it comes to generating leads and achieving lead conversion. What you need to do is stop and think about how the video itself fits into your overall marketing strategy. One thing to consider when answering this question is the buyer’s journey: Which stage do you want to focus on? Last but not least, you want to determine your goals for the video. Is its primary purpose to help with brand building, or increase engagement, traffic, leads or sales? Video marketing can help improve your current marketing strategy and lead to an increase in page views, session duration, engagement, and lead conversion. When getting started, just remember to focus on what you want your video to achieve rather than simply what you want it to look like and/or how you want it to function. This will help you get started on the right foot and more easily incorporate your video content into the other components of your overall strategy.